How to Write a Book Review of the Stars’ Tennis Balls? 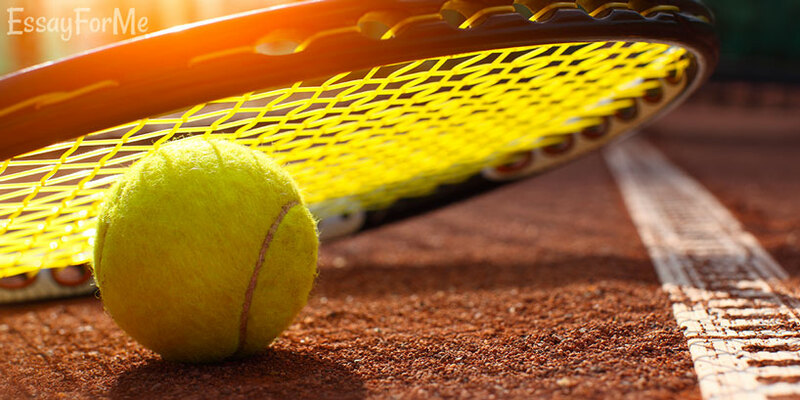 The Stars’ Tennis Balls was written by an English author Stephen Fry in 2000. Stephen Fry is an extremely popular writer, satirist and TV star, who is known for his humor, critique of the English society and the overall postmodernist style. If you are a college student, you are bound to get an assignment for writing a book review. On our website you can find many examples which you can use to develop your own ideas. In this article I will discuss one of my top favorite easy reads – the Stars’ Tennis Balls. I believe it is important to start by pointing out that the book derives its main plotline from the classics of the French literature – notably The Count of Monte Cristo by Alexandre Dumas. It is no blatant plagiarism, but Dumas’ book was definitely used as a framework for Fry’s modern reinterpretation. Many characters from “The Count…” can be found in Stephen Fry’s novel. However, it does not make it sound strange or outdated. On the contrary, the entire events one can envision happening in the today’s times. This is just one more proof that history repeats itself, and human values almost never have an expiration date. Obviously, in your review it is worth mentioning the discrepancies between the novels. The major one is, of course, the authors’ conclusions. While Dumas asserts that only God should have power over people’s fates, Fry is not that categorical. Knowing that Fry, in general, tends to be very skeptical about religion, it comes as no surprise. Fry’s novel can be understood in the light of the reception theory. Basically, the English author had to read and perceive the French book before creating his own. He had to connect his inner convictions and beliefs with those of his French predecessor. The reception theory emerged in the 1960s in Germany and in the 1970s spread to the US. Its principal idea is that the reader is just as significant as the author in terms of literature. The reader is the one that constructs the meaning from the fixed world of the book. The reader is even involved in the co-creation process with the author. With every new fan, a book transforms itself, becomes more intricate and profound. Fry not only interpreted Dumas’ novel in his head. He put his vision on paper and re-created the old manuscript in the contemporary light. I am trying not to spoil the book for you here, but some facts always need to be mentioned to make your review well-ground. I believe it is crucial to draw attention to the motives and ideas that permeate the book. First of all, it is the revenge. The main character Ned is betrayed by his friends and has to climb his way out of the predicament. However, he does not want to simply let go of the past. He wants to incur suffering as deep as he himself once experienced. Secondly, it is patience. Ned has to be extremely patient in order to survive all the trials and tribulations and not go crazy. He has to be patient to orchestrate his revenge professionally, without getting himself incriminated or even caught. Thirdly, it is the motive of love. Throughout the book Ned thinks about his young love – Portia, who he lost because of the unfortunate sequence of events. Love is multifaceted in Fry’s novel. It is passionate and cold; it is ordinary and larger than life. Every character represents their version of this feeling. In every review it is essential to say a couple words about the author’s style. Stephen Fry is definitely a postmodern writer, which is evidenced by his novel the Stars’ Tennis Balls. Even the name insinuates how postmodern this novel really is. The Stars’ Tennis Balls was a line from the play by John Webster the Duchess of Malfi. It represented the inevitability of fate and the inability of humans to alter it. This is a very postmodern trick – to include lines or symbols from other novels in your own. Moreover, the novel is not just a linear narrative. It includes letters of Portia and Ned in its structure as well. This is yet another sign of the postmodernist style which Fry utilizes to make his book different from Dumas’ one. Fry is known for his critique of the modern society – the English one in particular. He does not skip a chance to indulge himself in this novel as well. The Stars’ Tennis Balls is full of contemporary reference and criticisms which make it extremely relatable and fun to read. First of all, let’s take a look at one of the characters – Ashley from Manchester. He studies with Ned in the same prestigious school. However, unlike Ned, he is of humble origins and cannot brag about fancy heritage or exquisite accent. That makes him feel as a lesser human, even though he is just as talented as other students. Through this character Fry shows how outdated the English class society really is and how it can negatively influence other people. Secondly, Ned uses the lack of Internet security extensively to carry out his revenge plans. He also abuses the public’s gullibility through media to destroy the reputation of his enemies. This shows how the increased openness and interconnectedness of the world can actually be detrimental to others. Finally, it is the critique of human nature. There is no one good character in the book. Everybody has their own flaws and ambitions. Even Ned, who the reader would perceive as a victim at first, would reveal his worst side by the end of the novel. It is definitely a good book, although not a masterpiece. I read it before I became familiar with the Count of Monte Cristo. However, if you’ve already completed the latter, it is better to wait a couple years before embarking on Fry’s interpretation. Both books have similar (almost identical) plotlines, but while Dumas’ book will make you cry and think big, Fry’s novel is more of a beach read. It is still deep – it just falls short in comparison with its more powerful alternative. I would definitely recommend both of the books, but for different purposes. If you are looking for something heart-wrenching and intelligent – go for the Count of Monte Cristo. If you want something not dumb, but easy to consume – go for the Stars’ Tennis Balls. Stephen Fry is, without a doubt, an extremely talented and intelligent individual. He wrote a book that beams with social criticism, solid motives and exciting plot twists. However, it is a pretty ordinary book – it did not transform the world of literature.